Zoho Help Desk Software is one of the best Software for the management solutions of your organizations.It gives you the complete ability for managing the customer support activities, assigning the work, tracking the work, giving the help desk tickets, and you can even set up the custom alerts. 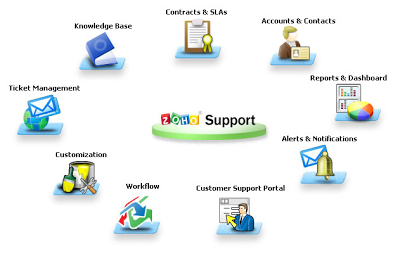 It is a web based help desk software which lets you to access the complete data from any corner of the world. As It is a web based software there is no need to install the software on any computer. This can make your organization to cut-down the installation charges and other maintenance costs. Zoho is full of Features which can be easily accessed due it’s simple user interference. Using this feature you can automate any work on your Help Desk Software. Just like time based actions, Sending Alerts, Creating custom tasks, updating the fields, and you can also use the macros for making the automated works. Using this feature you can create the web forms. And you use this feature to assign the requests from your customer service software to your agents. You also use this feature to handle the mail traffic to your support agents, And you can use this even for Billing purpose. This feature plays vital role in improving the support to your customers. This feature lets you login from secure pages into your dashboard to support your customers and this wonderful software is not priced so high so. And you can completely customize the Zoho Desk Supporting Software. Like customizing the templates, page layouts, delete and add the tabs. And still there are some more features in Zoho Help Desk Software which can’t be found on other Desk Supporting Softwares. If you’re an engineer or a designer you know that some of the most important trade tools don’t come cheap. Software programs in engineering are often readily available for free or for cheap online, but those programs using the CAD or Computer Aided Drafting technology are much harder to come by. The possible reason for this is because creating a quality, industry-accepted, and versatile CAD product is so complicated. There are, however, three free programs that use CAD and available for download. These programs aren't cheap “layout design” knockoff versions of CAD – they are legitimate quality products developed by some of the major designers who sell commercial 3D CAD software. The motivation for offering these great products for free is the hope that the user will decide to purchase the commercial software after trying out the free version. Fortunately the companies offering these products aren't offering substandard snippets of a program to hook you. The programs are actually really good quality. The first free program is called IronCAD Compose. Pluses: this program allows the user to import files from other CAD programs for editing, 3D composites, rendering, and even animation. Minuses: while it is a great program, it requires you to already have access to CAD files. IronCAD Compose is specifically useful for the creation and presentation of 3D models that can be used as a sales piece or used within your own organization for training or partnering. A drawing, for example, can be produced by one person and passed on to another who can then use the program to explore the assembly or product. The catch to the IronCAD Compose “free” deal is that it takes existing drawings and makes them viewable, editable, and printable, but the design aspect of the program is not accessible. There are other aspects of the program that aren’t accessible using the free version with the hopes that the user will choose to purchase it after seeing all that it has to offer. As a standalone product, however, IronCAD Compose is still a quality product. The second free program is called AutoCAD Inventor Fusion. 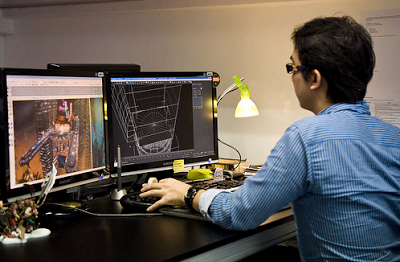 Pluses: this program is offered by Autodesk – one of the leaders in CAD programs. This program uses cutting edge technology and is being offered free of charge to draw interest from Autodesk’s current client base as well as its competitors’. Minuses: this program is only free for a short period of time and also requires the user to have access to 3D CAD program files. Inventor Fusion essentially takes 3D CAD files from a wide variety of formats and, in an incredibly user-friendly way, turns them into models to be used in planning and engineering. 2D Drafting and is offered by Siemens and it is a solid good-quality 2D CAD program that is most useful in situations where a 3D model isn’t required. Solid Edge has been an industry leader in mechanical drawing since it was developed by the space program in the 60’s. Currently Siemens interests lie in selling 3D CAD programs. They offer the 2D program for free hoping to gain the loyalty of users who would be paying competitors for similar programs. Solid Edge is everything a designer or engineer would expect from a 2D drafting program. It is compliant with a number of industry drafting standards and is compatible with other 2D and 3D CAD programs. If you’re interested in trying out these great products follow the links below. There is no better opportunity to get your hands on some quality CAD programs than now. Guest Post by Dan Greene of http://www.globalcad.co.uk/. Although today's video and computer games have become increasingly complex, the software used to design them is more accessible than ever. To create a believable, engaging game you need to be able to create memorable characters and an interactive, 3-dimensional environment. This requires a storyline, original artwork, and the right technology to get the job done. With the help of 3D modelling software, you can start putting together these pieces of the puzzle to create your own games. It's helpful to take a closer look at how to use this complex software to start putting together your own virtual world on screen. Before you choose the right software package to work with, you'll first want to do some basic brainstorming. How many characters will you need to create? Will they be similar in appearance or will you need to be able to create a wide range of creatures? Drafting a basic storyline and having some idea of what type of environments you will be creating can point you in the right direction towards choosing an animation program to suit your needs. More complex characters and storylines may require a professional set of tools like 3D studio max, while a basic game can be constructed with programs like DX Studio or 3D Rad. The best programs will offer you a variety of special effects, templates for creating characters, and adequate tutorials and support to get started. One of the primary features of computer modelling software is its ability to create characters in a three-dimensional space onscreen. This allows you to create more lifelike creatures than you would with traditional animation techniques. Some programs will give you templates to work with, as well as wireframes that can be built on with anatomical features and realistic muscular materials. Shading and layering tools will help bring these features to life. One of the most complex yet important aspects of 3D video game production is rendering. This refers to the process of translating the various mathematical codes that make up a 3D design into a final 2D image that still looks three-dimensional. 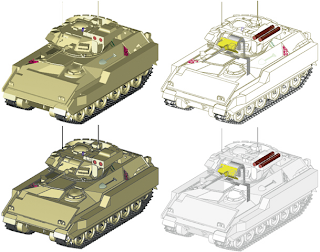 For rendering to be successful, the whole scene has to have the right lighting, colour valuation, and texture in each pixel of the final 2D image. This can be incredibly time-consuming without the right 3D software, which speeds up the process by pre-storing lighting and texture information for greater accuracy. Many computer programs will automatically render as you are designing your game, but you may have to follow this step after your animation designs are complete. Special effects and tools are also an important part of finalizing your images for the screen. Software toolkits let you work on specific textures, such as hair, fur, or cloth. You can then start building the environment around your characters with interactive objects and individual blades of grass. It's your work, so you can use these effects to your advantage. Particle effects allow you to control the movement of substances like snow or fire according to scripts or direct manipulators, which can also add to the realism of your scene. With a combination of preliminary brainstorming, character development and shading, and final rendering, you can use today's animation software to bring your unique vision to life. Martina writes for AutoDesk, a marketplace of 3D studio max experts and 3D Software that helps connect users . Remote Desktop Software - everybody at this point whether or not you're a student, employers, employees, housewives would invariably want access to a laptop at any time, wherever you're, for the applying Software Remote Access is meant to produce opportunities for each personal laptop,pc computer or notebook computer will access to a computer that held anywhere within the entire web site will connect with a web affiliation. Remote Access may be a software that permits every to be ready to access personal computers that they need from different computers as if they were sitting in front of the pc at their disposal. Remote Access application is extremely helpful for each personal, business, technical support, or facilitate desk team. What are the advantages of the Remote Access software? Remote Desktop Software is extremely helpful for each personal to be constantly connected to every laptop they have at any time from anywhere in times of need. If you are within the house just the once and forget one thing in your workplace, you'll directly log in using Remote Desktop Software and can immediately get the knowledge you wish on the spot. The same conditions can occur if you're within the workplace where you're employed and suddenly want one thing on the pc in Your Home. Thus with Software Remote Access you'll log into laptop laptop LAN networks anywhere in your home are Remote Desktop Software. 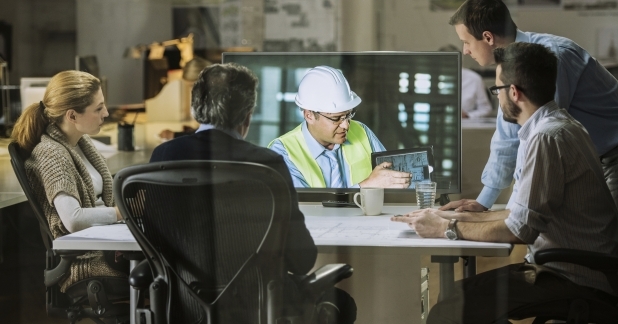 Is the facilitate Desk team during a company will profit of Remote Access? Yes, the Remote Access program can give vital advantages for Team facilitate Desk during a company, as a result of they're going to be ready to get into your laptop, after all with the permission from you, to produce support whenever there's a haul that happens on the pc you're using in order that you may have alittle downtime and no got to watch for somebody to go to you directly. Can I do the difficulty shoot likewise as through Remote Access? Yes, of course. With Remote Access Software, currently no downside you'll access any laptop from wherever you're. If your workplace laptop problematic at midnight once you are already within the house, then you'll perform repairs remotely through Remote Desktop Software is. Techinline Remote Desktop is an application that permits us to attach to remote desktop with ease from anywhere just by employing a internet browser. What we'd like to run this application may be a sensible net affiliation and net Explorer browsers. For native computer we've got to register 1st on the positioning of this application. whereas the computer consumer applications solely got to open the positioning and record the identification variety that may be told on the native computer. After this each regionally and consumer is connected via an equivalent web site where the distinction is that the native computer can begin the session whereas the consumer can be a part of the session. Menus are on the market for the native computer isn't too complicated as a laptop for remote operation there's an choice to read the remote desktop or complete management of the desktop. after all they need to get permission from the consumer computer 1st. At the native operating space, we are able to menshare native show and management the desktop computer to consumer computer notwithstanding the consumer computer doesn't have an account. There is one factor to recollect if the remote laptop using windows vista ie UAC feature that may stop us to vary the setting that's protected by the feature. This application permits us to settle on 3 choices show image quality is average, sensible and glorious. There also are choices scale auto and auto scrolling when the remote monitor larger than the native computer. So do i would like on my laptop using Remote Access software? If you're currently located within the state is often necessary to access the knowledge on your laptop at Home, workplace otherwise you invariably have to be compelled to travel, then it's time to be considering using Remote Access application that may support to any facilitate your work. Overall this Remote Access application is extremely straightforward to use and works all right. This application additionally works in web-based thus there's no registry that's written or installer ought to run. Here we can have two kinds of services which Techinline offers us. The first which starts at the cost of 30$/month which has unlimited usage of prepaid plan with any number of connections.The second plan is like pay them whenever you use its services, It also provides a 15 days free trial for the first time users. Are you looking for a reliable and secure remote PC access software program ? Then Techinline is the answer and is something that you are looking for. Techinline is a Remote Desktop Support Software which is both reliable and secure as reliability and security are essential to the success of any business. It provides the most innovative and secure Remote Access software as compared to any other software available in the market today. It provides an instant and trouble free connection between the remote computers to a point anywhere on the globe. The download is quick and simple and less number of features makes Techinline easy to use. It would not take a long time for user to get used to it. 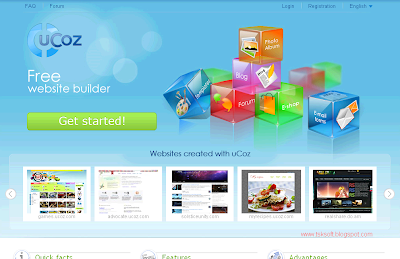 One can be up and running with this software within minutes. This software was designed keeping the customer in mind as the customer will find the navigation equally as simple. It has a limited feature set, but the features that are available works smoothly. You will receive an email with a 6 digit techinline code with a link to the website where this code needs to be submitted. Once the code is entered a large chat window will open and the host cancan easily drag or drop files, view and control your desktop and exchange chats. The host would not be able to access your computer unattended. In this process there is no room for confusion. Your questions can be answered via chat. The file transfer is fast and simple. If the host wants to share a file with you, they can drag the file onto the desktop and the file is uploaded immediately. For all remote desktop sessionsTechinLine offers 128-bit SSL encryption. During the sessionTechinlineensures that private information is kept private as there is no information stored on the TechinLine side. This software is one of the richest yet affordable remote desktop software available today. Another advantage of this software is that it is web based, needs a shorter learning curve and is simple to use which make it a win win situation for both host and you. Techinline allows the easiest connection process as it does not need any software installation or network settings configuration. Even if there are any firewall configurations or proxy in place this software can easily establish a reliable connection. It will also save your time as it does not need any modifications to security settings even on corporate networks. Techinline is fully compatible with Windows 7 and Windows 2008 server and is available in a 64-bit version. So, if you are looking for easy to use software without any confusing details or features, Techinline is perfect. 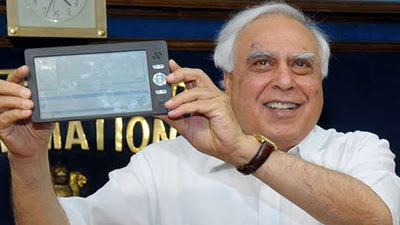 A Tablet for every individual, a revolution in the world of tablets has just recently released in India known as Aakash Tablet (Previously its prototype named as Sakshat Tablet). Aakash (which means sky in Hindi) Tablet is made by the UK-based company DataWind in collaboration with IIT Rajasthan (DataWind is a leading developer of wireless web access products and service providers owned by a Suneet Singh Tuli, a Canadian of Indian descent), but it will be assembled at DataWind India, its new production plant in Hyderabad, India. It will be totally an Indian tablet, there is not at all Chinese relations. Everyone is talking about the tablets; actually we’re in the world of tablets now, the world of big and heavy computers has gone now. Do you known what exactly a tablet is? I am not talking about medicines; it is related to the world of gadgets. A Tablet is basically a small personal computer(PC), equipped with a rotatable touchscreen as input device, and it runs on Operating Systems like Windows, Mac OS or Android. It has nearly all the key features of a standard PC, the main difference between a tablet and a PC is that you can keep a tablet in your pocket, while you can’t keep a PC. The Indian government has managed well to keep up its promise to Indians students about pricing the Aakash tablet as less as possible. As we have seen a lot of ups and down in its price because of its manufacturing, design cost, but now its basic version Aakash tablet will be available at $35 for students across India and commercial version Ubislate 7 tablet will be priced at $60 for everyone at retails store. 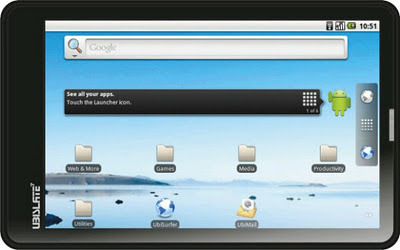 The $35 Aakash tablet is the most anticipated tablet of the world; it is the world cheapest and most affordable tablet. It is the best example of India’s innovative and creative minds. Aakash Ubislate 7 Android tablet is powered with a 366 MHz Connexant Processor, runs on Android 2.2 Froyo OS. Below are the full list of Aakash Hardware and Software. It weighs only 350 grams and it comes with a 1 year warranty. Battery- Rechargeable non-removable lithium-polymer battery with Solar charging option. Stand By Time- 2 or 3 hours at one stretch. Aakash tablet has been developed as part of the National Mission on Education through Information and Communication Technology which aims to link 25,000 colleges and 400 universities on the subcontinent in an e-learning program. Basic Version of the Aakash tablet for students will come in partnership with Aircel which would provide SIM cards which can then be used for accessing the internet through the 3G network and it also features telephony to make and receive calls over GSM band. The Aakash Tablet has been manufactured and designed completely in India. The Indian government is buying 100,000 tablets from DataWind for INR 2,250 (USD$45) per unit and will be available to students across India. 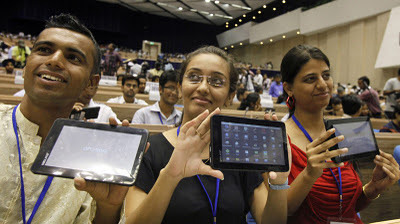 The Indian Government hopes to deliver 10 million tablets at a target price of INR 1,750 (USD$35) per unit. Commercial version of Aakash tablet named as Aakash Ubislate 7 tablet will be available from November for INR 3000 (USD$60) recently announced by Datawind. It will come with added features like an In-built cellular modem and SIM to access internet. You will be able to buy Ubsilate 7 tablet online or in retail stores from November. ISOBuddy is a small and free tool which can convert almost any image file format to ISO. 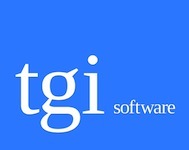 It can convert image formats like: GI, NRG, CDI, MDF, IMG, B5I, B6I, DMG, PDI, BIN and CCD to .ISO image. 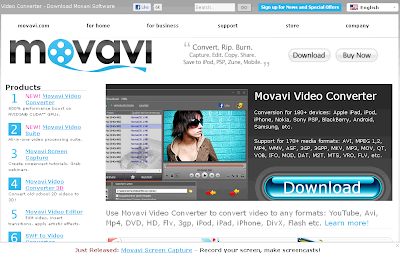 Apart from converting, it lets you Erase CD/DVD and Burn ISO image files to CD/DVD disc. Use the Open button to select the source image file and ‘Save as’ to chose the target file where you want to save the output file. To erase a disc, open extras and chose the erase disk option. Supports – Windows only. If you have ever lost any emails from your Gmail account then you should backup your Gmail account to prevent any loss of your e-mails. Gmail Backup is the tool that allow Gmail user to regular backup of their mail and restore when necessary. Gmail backup will backup all the mail including the mail information such as labels, date, from and etc. It using the Gmail built in IMAP capability to backup the email and save the messages in Microsoft EML format which allow restoring to other mail client such as Microsoft Outlook. The Windows version comes with a simple graphical interface — just enter in your email address and password, select a backup folder, and click the Backup button. It will save your messages in Microsoft’s EML format complete with attachments. RAR Password Recovery Magic 6.1.1.232 RAR Password Recovery Magic is a powerful tool designed to recover lost or forgotten passwords for a RAR/WinRAR archives. RAR Password Recovery Magic supports the customizable brute-force and dictionary-based attacks.RAR Password Recovery Magic has an easy to use interface. All you need to do to recover your password is just to add your file to the operation window. Custom character set for "brute-force" attack supported.